1. It has taught me how to be self-sufficient. I feel that most young adults have their first experience with this when they go off to college. And to an extent I did as well. I learned what it was like to be on my own; no restrictions or parental guidance. I was responsible for feeding myself, washing my clothes, and making it to class on time without my mom peeking her head around my door to make sure I was awake in the morning. I managed my way through college with good grades, a job, and a social life. That’s being independent, right? Not necessarily. My parents still lived 20 minutes down the road. Do you know how many times in college that I locked my keys in my car? Too many to count. Moving to a new city has provided me with the opportunity to think and act for myself. Finding a new physician, dentist, or even a car care center is never any fun (and requires research), but there is something to be said for being able to do things on your own. 2. It has taught me how to budget. When I moved to Charlotte I was so excited to experience everything. I wanted to try every restaurant, visit every bar, and attend every event in the city. But, I quickly realized that this came at a cost. Especially on a teacher’s salary. I couldn’t live the lifestyle that I had become accustomed to before I had bills to pay. Internet and cable? That bill is no joke. Rent? Don’t get me started. Luckily, with the assistance of an Excel spreadsheet that I created I have been able to become much more organized and responsible…I am, however, still poor. 3. It has taught me how to be adventurous. My mom will be the first to vouch, I have never been a fan of being alone. Trying something new, and doing it alone, is my ultimate fear. It’s been a slow process, but I finally realized that if I wanted to go and do the things that I enjoyed, then I had to do them on my own. I couldn’t wait around for that friend who wanted to go see the new Captain America sequel or visit the aquarium with me. If I wanted to try out the church across the street from my apartment then I was going to have to go…and go alone. And I am so glad that I did. Charlotte has so much to offer and I refuse to sit back and not be adventurous because another person was “too busy” to make time for me. No more excuses. 4. It has taught me how to be appreciative. I can honestly admit that I value the relationships that I have with my friends and family back home more than ever now. I miss family dinners on Sunday evenings and late night conversations with my roommate. I miss so many aspects of home; but at the same time, I feel so lucky that I have been given the opportunity to move somewhere new. I read somewhere that we often get so caught up in our destination that we forget to appreciate the journey. Life is too short, trust me. 5. It has taught me how to be myself. I used to think that moving to a new city would be the perfect opportunity for me to change who I was. I thought that all of the quirks that I hated and the mistakes that I regretted would just go away. New city, new me, right? And to an extent I have changed. I would like to believe that I am much more mature than I was, and I have learned to accept the past. I am not a new person…just a more improved version. I’m still obsessed with sushi, rather talk on the phone than text, and forget how to speak when I get upset. I still make mistakes. But, I am not ashamed of who I am. I am proud of what I have accomplished and I love the person that I am today. 6. It has taught me how to be patient. I constantly question if I am where I am supposed to be. Is teaching the right profession for me? Am I living where I want to live? Do I surround myself with people who recognize my worth? Am I truly happy in Charlotte? I just don’t know. But I do know that it’s out of my hands (Luke 22:49). I have learned very quickly that what is meant to happen will happen regardless. My situation will be much clearer in due time, but until then I’m going to keep living my life. 7. It has taught me how to fail. And fail. And then fail again. To this day I’m still not convinced that I’ve gotten anything entirely right. There have been days when my lesson plans have completely bombed and I’ve left school feeling completely defeated. Weeks that I promised myself I would go to the gym but couldn’t find the determination to actually go. Countless occasions that I’ve been lost and even felt lost. Blogposts that have gone unnoticed. Instances where I’ve let down my friends. And then there are those guys who should have treated me better. But through it all I learned that it is OK to fail. Completely acceptable actually. Maybe you’re one of the lucky few in their twenties that has their life figured out. Not me. Nevertheless, I’m not going to give up. I’m still going to teach because I am passionate about education. I’m still going to write because it makes me happy. I’m still going to put myself in awkward situations because I want to make new friends. And I am still going to approach the cute guy in the grocery store because why not? The only way to truly fail is to abstain. 8. 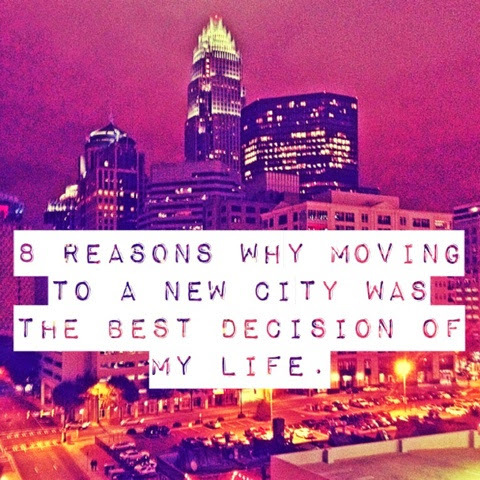 Moving to Charlotte was one of the best decisions of my life. It taught me to believe in myself. i love this! 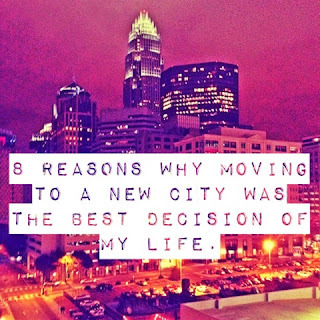 moving to charlotte was the best decision i ever made too! !